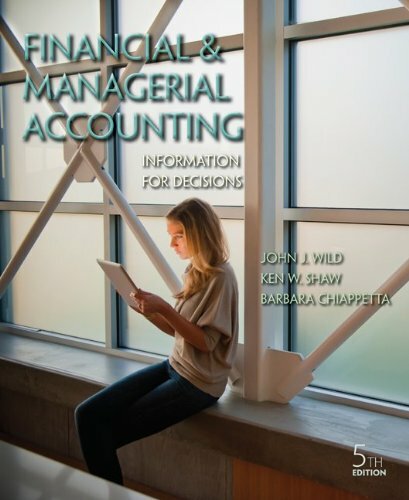 Wild s "Financial and Managerial Accounting" responds to the market s request for a single book with balanced financial and managerial content ( 50/50) that has a corporate approach throughout. Its innovation is reflected in its extensive use of small business examples, the integration of new technology learning tools, superior end-of-chapter material, and a highly engaging, pedagogical design. Inclusion of Connect, Connect Plus and QuickBooks and Peachtree application software provides students every advantage as they strive to understand the key concepts of accounting and their role in business."